From the Star Wars Rogue One collection by Funko. 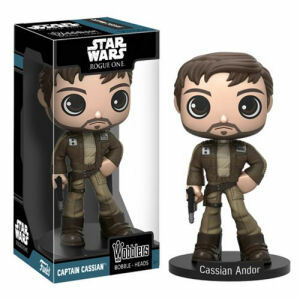 Star Wars Rogue One Captain Cassian Andor Bobble Head. From the Star Wars Rogue One collection by Funko. Star Wars Rogue One Captain Cassian Andor Bobble Head. Bobble head measures approximately 7 inches tall. Funko Star Wars Bobble Heads shipping from Canada. No Surprise Border fees or Customs!